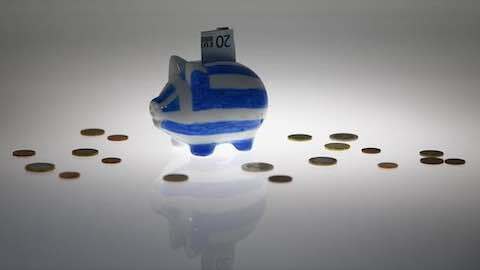 Greece outperformed its fiscal targets last year and should meet fiscal goals this year, putting it on track for its primary surplus target in 2018, European Commission Vice President Valdis Dombrovskis said. Boys aged five to 16 receive an average allowance of 10.70 pounds ($13.30) per week, while girls the same age get just 8.50 pounds ($10.60), according to a report by the market research agency Childwise. The pay gap grows to 30 percent as children get older, with boys aged 11 to 16 receiving 17.80 pounds ($22.20) each week, while girls receive almost a third less with an average of 12.50 pounds ($15.60), the report said. "The data points towards an early gender imbalance in the way parents educate their children about money matters and financial independence," said Jenny Ehren, Childwise research manager. "The challenge for parents is to avoid inadvertently perpetuating these gender divisions themselves, and to help children learn the skills needed to be a confident and independent adult," she said in a statement. Girls seemed to have less financial freedom than boys and were more likely to have things bought for them, which helped to bridge the pay gap but also showed different approach to managing money, the report said. Parents were more likely to hand out cash to the boys while managing money on girls' behalf. British boys were more likely than girls to receive some kind of regular income while girls were more likely to receive no cash at all, the report said. Sam Smethers of The Fawcett Society, a campaign group promoting women's rights in the labour market, said gender pay gap between boys and girls reflected the situation they face in adult life. "Prepare your daughter for working life -- give her less pocket money than your son," Smethers said in a statement. "These figures reveal that we undervalue girls from a very early age. What chance do they have at work?" According to Fawcett, in 2016 women in Britain were paid 13.9 percent less than men. At the current rate, it will take another 62 years before women's work is valued as much as that of men, the group calculated using data from the Office for National Statistics. Childwise polled nearly 2,000 children in the UK using an online survey. Europe: "Greece On Track For 2018 Surplus Target"